Search for an overdue boat has a much greater chance of being successful if the US Coast Guard or other rescue agencies have certain facts. 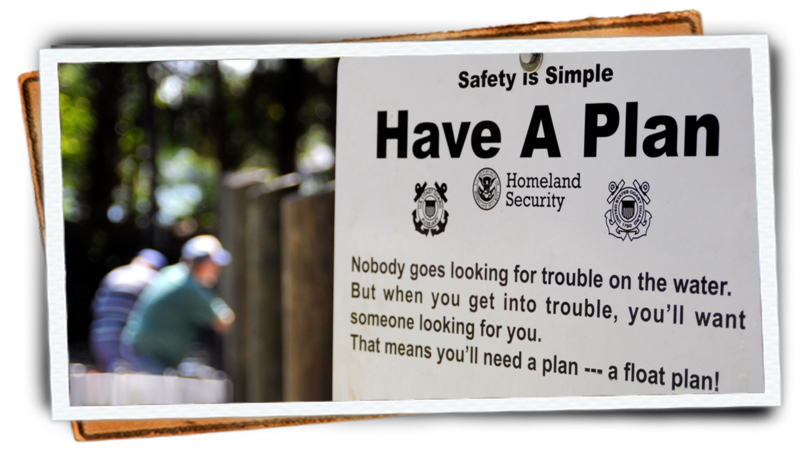 For your own safety and before boating, file a float plan with a reliable person who will notify authorities if necessary. The Division of Boating and Waterways has provided this float plan as a courtesy to boaters. The float plan and checklist is not a definitive list of everything that may be required for safe boating on any particular boat or boating excursion. Knowing what is required is the responsibility of each individual boater.